As part of his #LiveFeedSyria campaign in partnership with WFP, Sami Yusuf releases ‘Silent Words’ with all profits going to charity. 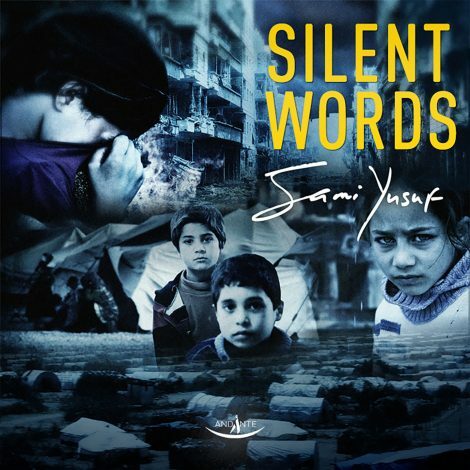 Sami Yusuf releases charity single “Silent Words” for Syria and its people. With over 1.8 million* refugees dispersed throughout the world, “Silent Words” is a call and a reminder that our brothers and sisters are not forgotten and that we echo their silent words and prayers. *According to the UNHCR, as of 15 Feb 2016, the total number of displaced is estimated at 4,715,695. This figure includes 2.1 million Syrians registered by UNHCR in Egypt, Iraq, Jordan and Lebanon, 1.9 million Syrians registered by the Government of Turkey, as well as more than 26,700 Syrian refugees registered in North Africa. Regional demographic breakdown below is based on available data from Egypt, Iraq, Jordan and Lebanon.